Ocoee Car Accident Attorney Firm Securing Compensation for clients Injured in Ocoee and surrounding areas. From rural roadways around Lake Apopka to busy highways like I-4 and the Florida Turnpike, car accidents occur all too frequently in Ocoee, FL. Data compiled by the Florida Department of Highway Safety and Motor Vehicles reveals that there were 31,004 accidents in Orange County in 2017, causing 188 fatalities and injuries to more than 21,000 people. Beyond the physical pain, victims and their families suffer emotional and financial losses. At The Benenati Law Firm,our Ocoee car accident attorneys are committed to helping you get your life back after a motor vehicle crash. We can help you recover compensation for your losses, which may be more considerable than you think. Please contact our office to schedule a free consultation, and read on for important information about these cases. Many other failures to use caution when behind the wheel of a car. Our attorneys at the Benenati Law Firm conduct in-depth investigations to prove the elements of negligence, retaining accident reconstruction experts and other professionals to support our efforts. We start by filing a claim with the negligent driver’s insurance company, but we are prepared to litigate if we are not able to negotiate a fair settlement in your case. You should note that there may be restrictions on your auto crash claim, and our lawyers at Benenati Law Firm can explain in more detail. For instance, Florida has a statute of limitations that requires you to file a lawsuit within four years after your accident. If you fail to do so, you are forever barred from ever recovering compensation for your losses. In addition, there is a law oncomparative fault in Florida. This statute focuses on your own conduct and whether it contributed to the car collision. 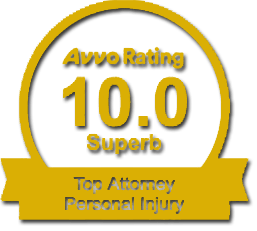 Your compensation may be reduced by the percentage of fault attributable to you. For more information on auto collision claims, please contact the Benenati Law Firm to schedule a no-cost case assessment. You can call our office at 407.777.7777 or fill out an online contact form. online. We can tell you more about your rights and legal remedies after reviewing the details of your case.